When the majority of people think of dog training, they think of the standard pet training commands – sit, down, come, stay. While those points are essential, don’t ignore the advantages of training a dog to do tricks. Dog tricks are a wonderful way to offer your pet some mental stimulation and many of them build from the basic commands. Plus it’s enjoyable to train a dog some cool dog tricks to show off for friends! 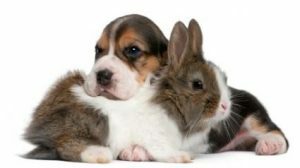 Teaching a pet to kiss is among the simplest tricks to train. While not every person enjoys a big, moist doggy smooch, this dog trick normally goes over well with kids. By placing a little treat on your cheek as well as adding the command, you’ll soon be able to obtain all the love you desire from your pet on demand! 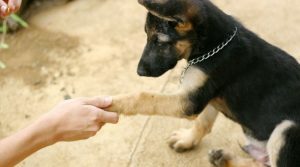 Have your pet welcome your friends by shaking hands (or paws in this case). This is a simple dog trick that you could generally train a dog to do in a couple of brief training sessions. Many dogs naturally like using their paws and will enjoy the positive attention they get when doing this trick. Lots of people train a dog to roll over in several small parts and work up to getting the dog to roll over all the way. It may take some effort to train a dog to do this trick, however it is well worth it. It’s lots of fun, as well as it also serves as a foundation for several other dog tricks, such as playing dead.